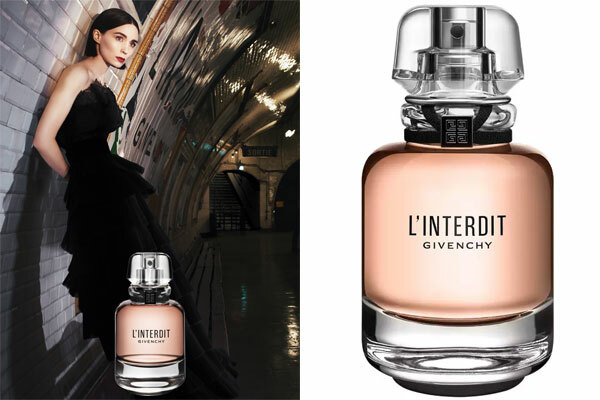 L'Interdit by Givenchy - This white floral is a reinvention of the original 1957 perfume designed for Audrey Hepburn. Created by perfumers Anne Flipo, Dominique Ropion, and Fanny Bal the new woody floral fragrance includes notes of orange blossom, tuberose, jasmine, vetiver, and patchouli. 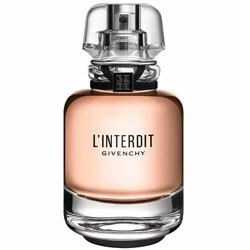 The original perfume bottle is updated with sleek rounder edges, a peach juice, and black ribbon accent. 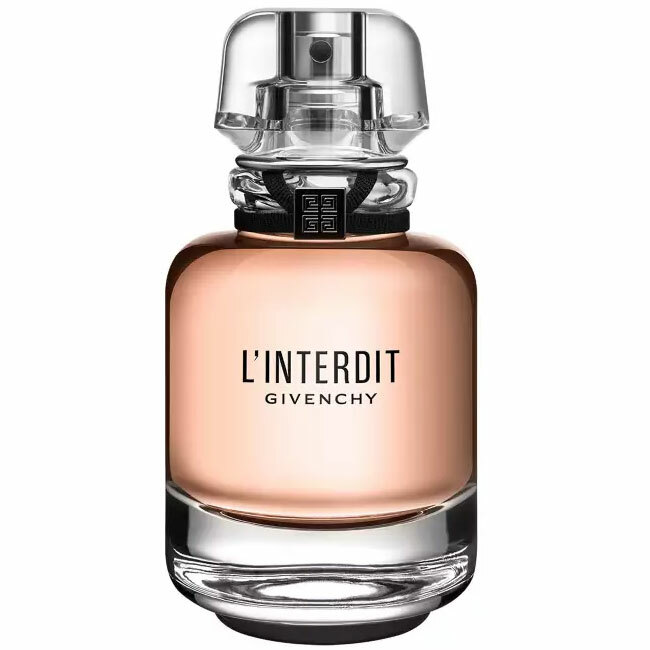 Launched in September 2018 this new scent described as "a tribute to bold femininity" and is available in an eau de parfum spray at Macy's, Bloomingdale's, and Nordstrom. 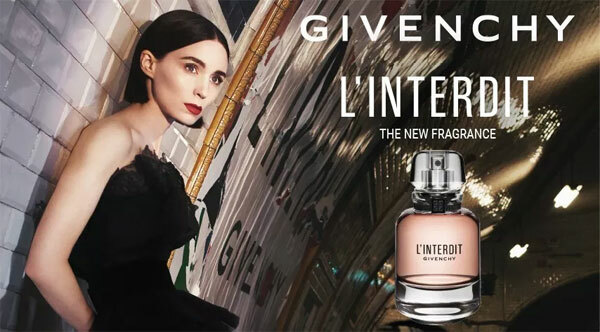 The ad campaign features actress Rooney Mara directed by Todd Haynes. Package Design Original perfume bottle updated with modern curves, peach juice, and black ribbon. Warming Trend - Temper cooler temperatures with the sultriness of these new scents. Its name is French for prohibited or forbidden. 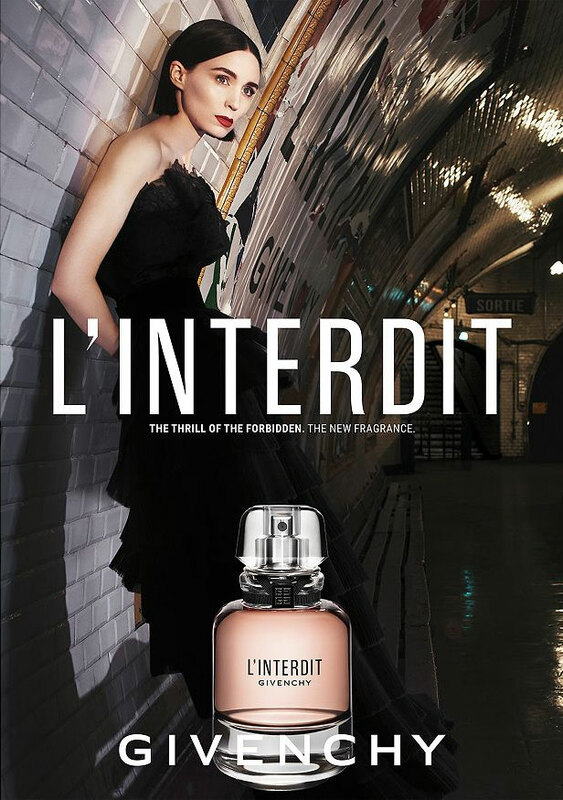 Like most verboten things, it's also temptingly inviting (lightly floral and sensually musky).